Roy MacGregor is a best-selling author and award-winning Canadian journalist who has written many sport-related books. MacGregor grew up in Huntsville playing hockey, lacrosse and baseball. In 1970, he graduated from Laurentian University with a Bachelor of Arts in Political Science, and again in 1972 from the University of Western Ontario with a Graduate Diploma in Journalism. 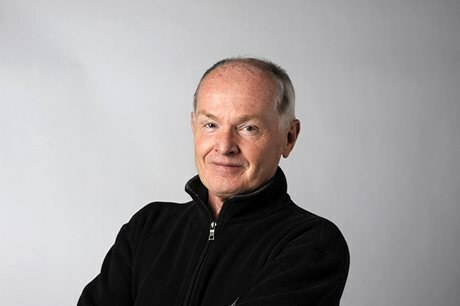 MacGregor started his journalism career with Maclean’s magazine and moved between various publications for 25 years before becoming a writer at the Ottawa Citizen newspaper. While writing for the Citizen, he was in charge of covering the Ottawa Senators, and found his niche in hockey literature. Since then, MacGregor has written 37 books, including the successful Screech Owls series, Home Team: Fathers, Sons and Hockey, A Loonie for Luck and The Last Season. He was named to the Order of Canada in 2005 for his work in evoking Canadian identity through his books. Learn more about MacGregor and the Screech Owls series at the Canadian Review of Materials website. Watch a CBC special on Early Morning Hockey Practice with Roy MacGregor.